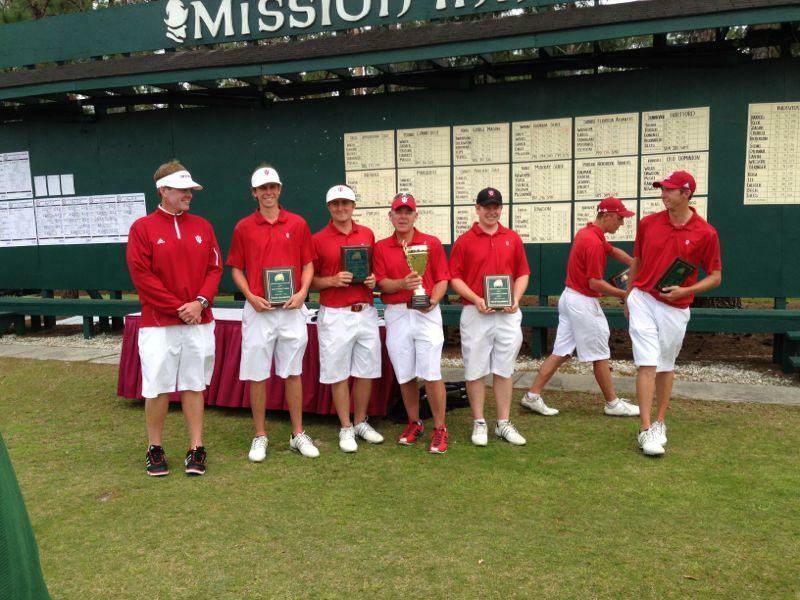 Indiana University won Mission Inn Spring Spectacular at Las Colinas golf course. Hey all! 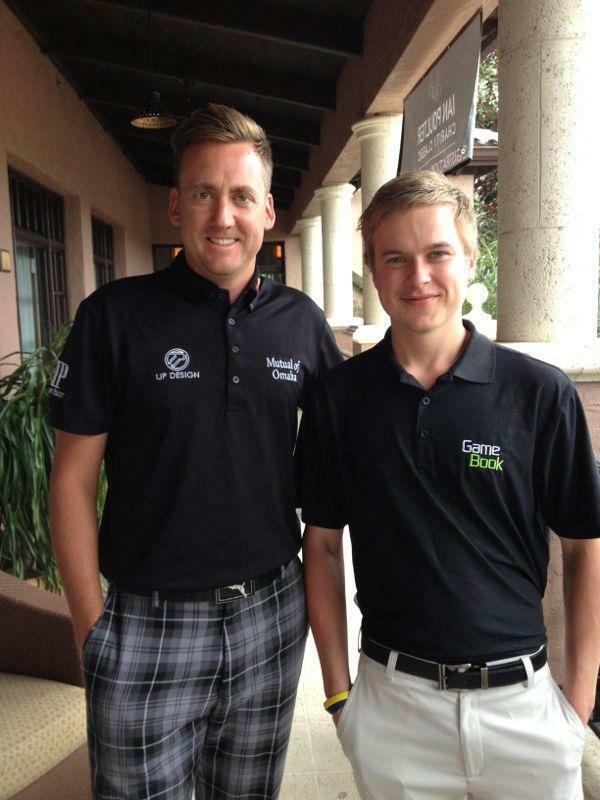 I spent last week in and around Orlando by organizing college golf scoring by Golf GameBook together with GameBook Inc.’s CEO, Mr. Mikko Rantanen. Also we got honor to organize live scoring for Ian Poulter’s Charity Classic at Isleworth Country Club, which was one of the most spectacular Country Clubs I’ve seen for a while. No wonder why so many pros are enjoying their lives on that area. Saw Tiger Woods’ former house, currently owned by defending Masters Champion Bubba Watson (saw Bubba too on driving range btw. ), the famous tree… and much more. Great place. If you ever got chance to visit there, use your chance! I’m sure you all have noticed we’ve organized these college tournaments’ scoring before already. Golf goes mobile fast and GameBook is at the forefront in this progress. Soon our service is taking huge steps forward when we’re going to launch our brand new online service for every golfer around the world. Tournament organizing will be easier, faster and high-techer than ever! More to follow – stay tuned folks! Also nice to see that college teams are using GameBook more and more on their own qualifying tournaments and practice rounds! GameBook saves a lot of time and effort not only on the tournament scoring but also on teams’ everyday life. What would be better system for Coaches than this: They can organize team’s qualifying and practice rounds with GameBook app as well and follow their players’ live scores & leave comments for them in real-time. “Mission Inn Spring Spectacular” was hosted by George Mason University and played at Mission Inn Resort’s course called Las Colinas in Howie-in-the-Hills, FL. One more time want to congratulate Indiana University, who won the tournament by two shots before Virginia Tech and Purdue University! Well played mates! What was different was that on this event, players recorded score to GameBook. Every group had one iPhone, and maybe it not even necessary to say, but everything worked well! Guys loved it. After launched in last October in Atlanta at United States Collegiate Championships, Golf GameBook has already provided live scoring with its own app on several different college tournaments around the U.S. territories. Feedback has been gloving not only from the spectators but the coaches and players as well. Clearly, this is something what college golf scene has been waiting for a long time. By the way: some people have sometimes thought that these new technology aspects will slow down their golf rounds. They’re totally wrong! We played 18 holes in 2 hours and 50 minutes, and recorded our scores with GameBook app of course, so our envious friends back home could followed our round live. And we followed their comments back. Of course the golf course was pretty vacant for us after the tournament and we played with carts, but still – hard for me to understand how these high-level amateur players can spend over 5 hours at the course on their tournament rounds. Perhaps the highlight was to meet my idol at Isleworth Country Club couple of days later. I’ve always admired Ian Poulter’s courage to be a personality. Other love while others hate but Poulter always act as coloful himself. Like friend of mine (Cheers Rick!) wrote when posted this pic to my Facebook page, Poulter must be honored to have met the winner of the first North Korean Open! 😉 Haha, laughed with water in the eyes that comment. Anyways, this was one of my highlight on this year so far, no doubt. I can’t think of a better bow image for charity event than this courteous and warm-hearted englishman. He took all the guests account perfectly, and what meant the most for us, loved GameBook’s scoring. Poults followed guys playing on his Charity Classic in real-time with his iPhone and GameBook app there. The guy has a game eye – I’m sure all the guests were more than happy after tremendous day. See photos I took from Ian Poulter Charity Classic last monday!